The racquet has been talked about for a while and now it’s finally revealed – the Babolat Pure Drive 2017-2018 edition – endorsed by Fabio Fognini, Mikael Ymer and Gabi Muguruza. When looking at the specs for the new Babolat Pure Drive, it doesn’t look much different to the version it replaces. It includes something called Cortex Pure Feel and the marketing says: “The new Pure Drive: pure power, pure sensation.” Cortex Pure Feel is thin layer of viscoelastic rubber is incorporated into the material mix of the shaft. It provides more vibration damping and is a material also used in the aerospace industry. What I read from this is that they’ve tried to reduce the stiffness a bit with the Cortex Pure Feel and the racquet will now play slightly softer with more control. It will be interesting to see if it really does. 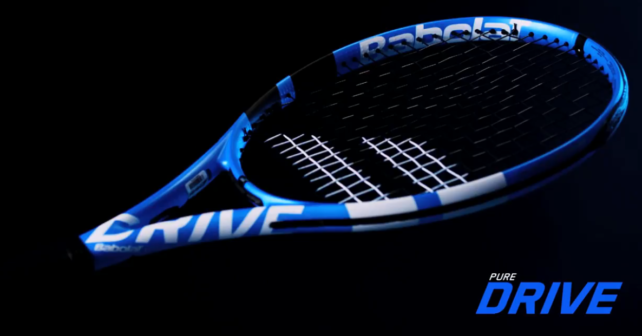 Here are the specs of the Babolat Pure Drive with Cortex Pure Feel. I’m not yet sure whether they will release a Babolat Pure Drive Tour, but I would guess that along with a lighter version as well. So nothing really new here? Well, like I wrote above, the stiffness rating is lower possibly thanks to the Cortex Pure Feel, but otherwise it looks pretty much similar to the previous version which boasted FSI power (more open string bed). How will it play? I think I think will be a good racquet for a lot of players. The Babolat Pure Drive has an almost universal appeal, but the power can be hard to tame if you have a full swing but don’t hit with a lot of top spin. So if you’re a strong, flat hitter, I’d suggest you’d go for something less powerful. 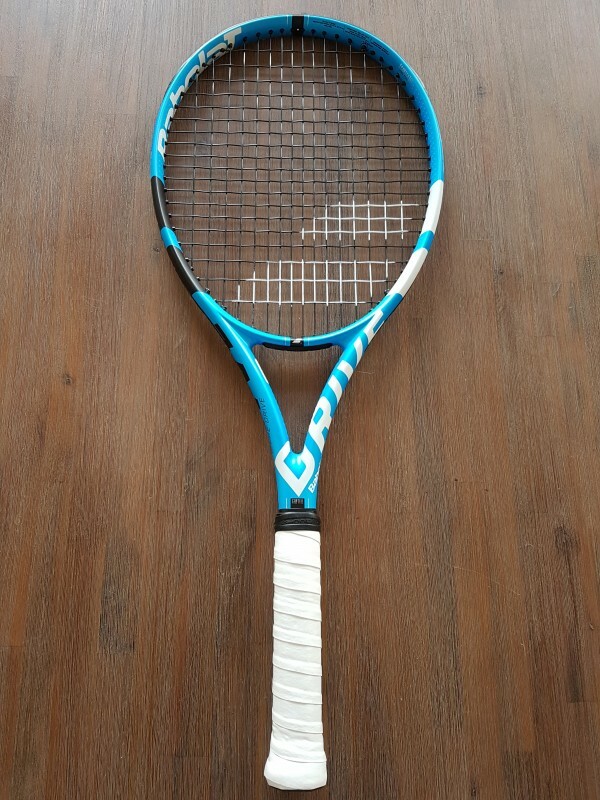 Most other players I think should consider trying this racquet as it is easy to use, has a large sweet spot and gives you a nice thwack of power on your shots. If you don’t want to spend the money of a new racquet, prices on the previous model with the FSI string pattern (reviewed here) will go down, so check your tennis shop or the racquet suppliers listed below. That is also a fine racquet by the way if you’re looking for power and spin. I will update with more thoughts on this specific frame here once I get a chance to hit with it. And if you, please share your thoughts in the comment section below to help guide others in their racquet finding process. I think the addition of the rubber compound made by SMAC is akin to the usage of Countervail and Kraibon by Wilson and Head respectively. It allows them to better absorb vibration without decreasing the frame stiffness, which would reduce the power level. I’ve hit the new PD and I don’t think it is any less stiff and powerful but it did have a cleaner feel on impact than the outgoing model. Yes, I think this is the trend right now. Maintain rigidity of the frame for it to be powerful but reduce the shock to the arm slightly while trying to find a better feel. It’s not easy. In my mind the Countervail Wilson racquets were too muted. Will be interesting to try the Pure Drive. Any idea when we will see the plus version of this model?